Today we reach the salt and light verses, familiar in most religious circles but applied in all too few. You are the light of the world. A city on a hill cannot be hidden. Neither do people light a lamp and put it under a bowl. Instead they put it on its stand and it gives light to everyone in the house. These words were spoken by Jesus to people who followed him, some by action others only by words. Obviously, Jesus is using the analogy of ‘salt’ and ‘light’ and their environmental impact to describe a real Christ follower and their cultural impact. Due to the explicit description of living a “Christian” life, these same words are recited at many baptisms (mine included), but in these modern times, are they anything more than just words? Salt enhances flavor and preserves meats. It can also be used as a landscaping tool, destroying plants’ (or weeds’) ability to grow in dirt where it is mixed. Even the slightest pinch of the mineral cannot pass our taste buds unnoticed. The presence of salt is felt, seen, tasted, and smelt; not because it forces you to see but because it simply cannot be disguised. If you claim to follow Jesus, does your spiritual presence command such attention? Light infiltrates every possible crevasse without putting forth any additional effort. Carry a burning candle into a dark room, no surface in the room can escape its touch. Any light source, regardless of intensity, is supremely dominant in darkness. Interesting thing is, the same principle does not work in reverse. Bring light into a dark room and the darkness flees, dark cannot overtake any space without first removing the source of the light. Modern Christianity has experienced a spiritual devolution which is cutting off any cultural impact or even social relevance “being a Christian” once had at the knees. The statistics for divorce, debt slavery, and physical dependencies are hardly “set apart” by spiritual affiliations. Modern Christians are just as likely to succumb to any of these vices as the modern heathen. Yet these are all situations the Christian faith explicitly addresses and leads its followers to avoid. Has time stripped Christ of His power, resulting in His followers having no better leadership to live a better life? Absolutely not. Jesus has not changed, His followers have. Around 500 years ago (by what I’ve been able to find), the “rules for becoming a Christian” changed from Jesus’ command to “Follow Me.” (which we discussed in the previous series) to a scripted prayer one must say, insipidusly dubbed “the sinner’s prayer”. The concept of having to pray as a precursor to embracing salvation cannot be located in any biblical text and, borrowing the words of C. S. Lewis, is “a great cataract of nonsense”. Christianity is a faith that results in a relationship and leads to action. As Paul described it, faith without action is dead. Mark Gungor, a lead pastor in Green Bay, WI and marriage guru, describes this largely American phenomenon better than I ever could. He compares the “sinner’s prayer” to spiritual pixie dust. Just say these few magic words and the salvation fairy will sprinkle forgiveness dust on your head, then you’re in the club. A very comical, but unfortunately accurate depiction of what many claim as their “Christian faith”. This method of promoting “easy salvation”, which one can only assume was a numbers game, has survived long enough now that its shallow nature has trickled up to our church leaders. What if new Christ followers today aren’t searching any deeper than a few magic words because the very people set in place to lead them deeper have never gone deeper themselves? It’s up to the salt and light to lead. 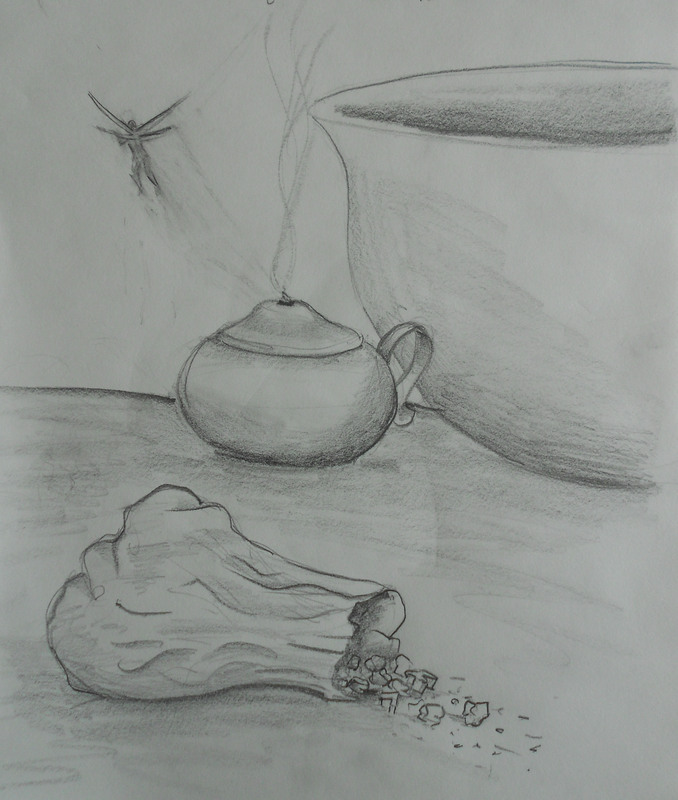 Toady’s drawing is a literal depiction of the lamp, the bowl, and the salt Jesus speaks of. A shadowy winged creature retreats away from the smoldering lamp wick, having extinguished its flame in a trail of pixie dust.